Tillerwoman and I are leaving for a five day cruise on the Arabella to Martha's Vineyard, Nantucket and Cuttyhunk. A total break from Laser sailing, running and blogging. We are looking forward to mornings spent sailing between the islands; afternoons of sunbathing, swimming, hiking, kayaking, exploring; and evenings enjoying seafood dinners ashore. No doubt they have wi-fi Internet access in New England harbors these days but I don't care. The blog is taking a vacation. If the name Arabella sounds familiar to some of you blogging sailors its because Sailscape posted a picture of her in June and Eliboat came across her while sailing in the classic yacht races in Maine a couple of weeks ago. 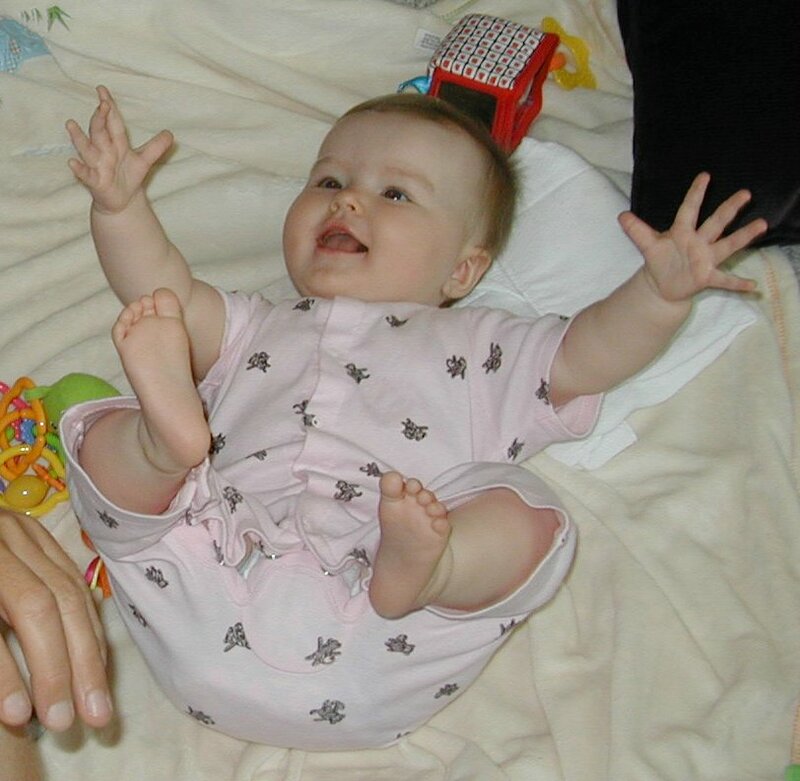 Then it's off to Massachusetts for a few days at my son's home, hanging out with our gorgeous granddaughter Emily. She and her parents have been over in Europe a couple of weeks where she has been charming the socks off her two great-grandmothers in England, and visiting many of her great aunts and uncles and cousins of various degrees and removes in Ireland. So the blog is taking a vacation. See you in September. Check out the recently released DVD Learn the Racing Rules with Dave Dellenbaugh. There is a trailer here. 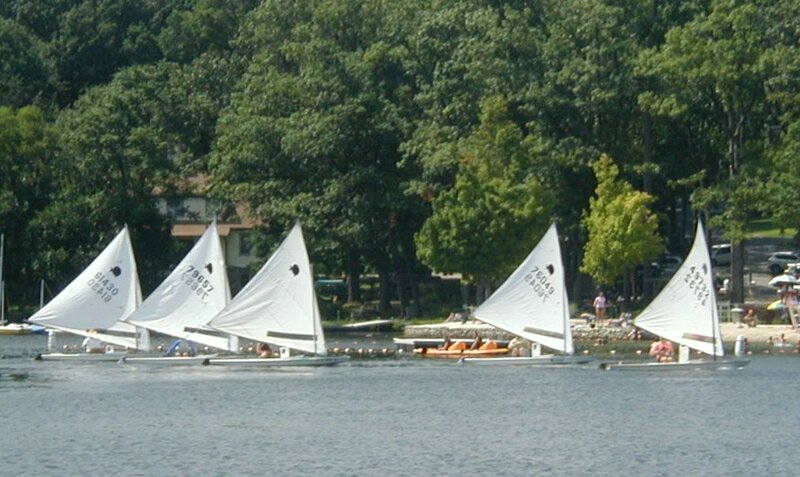 A lot of the footage in the DVD was of the Cedar Point YC Laser Fleet racing one Sunday last fall. As it turned out, the director of the video turned up to shoot the fleet on the weekend when it was my turn to help with race committee and I was assigned to drive the boat for him. He just sent me a complimentary copy of the DVD set as a thank you. Actually I think I was really supposed to be a safety boat but these Laser frostbite sailors are tough and self-sufficient and rarely need any outside assistance. So I was able to spend most of the afternoon maneuvering the boat to give the cameraman the best shots of crowded mark rounding and starts and so on. Hmmm - wonder if this could be the start of a new career in the movies? As I start my training program leading up to the 2007 Laser Masters Worlds I want to keep a training log, a daily journal of training activity, racing, progress made, lessons learned, notes for further training needs and so on. Should this be a blog? Or a private journal? If my training journal is a public blog will I be inhibited from writing in it everything that I would write in a private journal? Innermost thoughts about how the training is going, details of what's happening to my body, mistakes made on the race course. Do I want to share everything with the world? And if I write all this stuff in a blog will it be remotely interesting to anyone except myself and perhaps a handful of other Laser fanatics? Do you want to hear about the color of my pee after a long day on the water in hot humid conditions? Or tune in to a couple of Laser sailors debating the length of their vang tail and how many handles it should have and whether to tie off the end and, if so, where? And if I do write a blog about a Laser campaign such as ab is doing with Split Tacks then what should I do about Proper Course? Proper Course and the personality of its writer have been described by various readers as funny, sunny, completely insane, casual, twisted... It's true. I do try to write it in a way that will be entertaining to a general sailing audience. So if I use Proper Course to write a blog about my training will the change in style be fair to the regular readers? How would you feel if The Onion suddenly turned into the New York Times? Or Dilbert.Blog morphed into Freakonomics? Not that I am putting my little old blog in the same league as those publications, by any means. I'm just saying that a blog develops a certain style and it seems wrong to make an abrupt change from frivolity to seriousness, from broad to specific, from casual to intense. But why not have the best of both worlds? Have two blogs, one more focused, serious training blog and keep Proper Course going as a more humorous, off-beat look at the sailing world and my own foolishness? 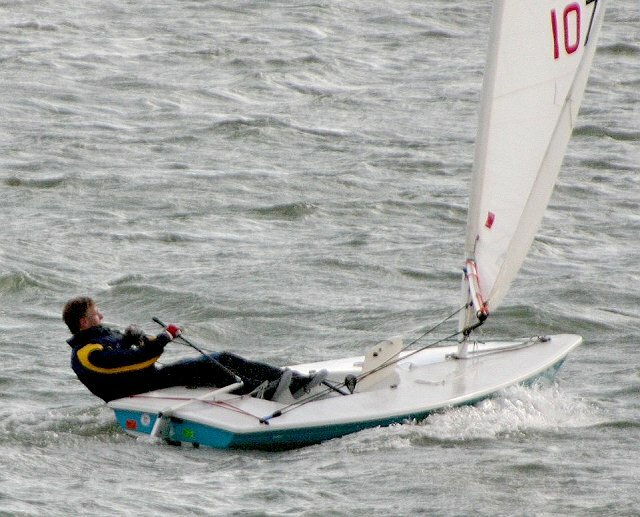 Or sticking with the theme I discussed in my Sailing Magazine post, why not just throw it all into one magazine blog -- introspective training posts, nonsense writing, curious stories from the sailing world, wild sailing videos, self-deprecating stories about my own sailing screw-ups and so on? Well, I'm not sure I want to write two blogs. I probably spend way too long at this blogging game already when I should be out sailing. And I'm not sure if I can simultaneously write blog posts about my own training on one hand and off-beat funny stories about sailing on the other. What I write in Proper Course is often the end-result of ideas and thoughts that have been rolling around in my head for the previous day or two. Would I become hopelessly schizophrenic if I were trying to be serious about my training and build up my confidence with positive self-talk while at the same time always looking to see the whacky, funny side of things? Can you be a joker and a winner? For example, when I'm out racing and things start to go wrong, am I going to be thinking, "OK -- calm down -- put it behind you -- concentrate on the rest of the race," like a serious sailor should. Or am I going to be thinking, "Ha ha - what a crazy thing to happen - now how can I make that even more funny when I write it up in the blog on Monday?" Does any of that make sense to you? Do you understand why I'm reconsidering where this whole blogging thing fits into my life? I have decided to sail in the Laser Masters Worlds in July 2007 in Portugal and in 2008 in Australia. I have committed to prepare myself for these events much more seriously than I ever have before for a Laser regatta. I have set myself some goals for my results in these events and have been planning my training program leading up to the 2007 Worlds. I find myself feeling energized and excited about this ambition. I am in a totally different place from when I wrote Schemes and Dreams back in January. Then I was feeling laid back about sailing and my only aims were to sail a lot, to have fun, and not to stress about the results. It's still going to be fun but in a different way. Now I have a definite goal, a determination to succeed, and a commitment to do the hard work to make it possible. It bothers me to no end to be the first to publicly cast a shroud of suspicion on the Great Grand Master Division. However, I believe that all the athletes in this division should be spot drug tested for the whole works at the next big regatta; synthetic testosterone, blood doping, steroids and or see if they have been swimming in that pool from the movie cocoon. Something is fishy with those guys. To qualify to be in that division you have to be 65+ years of age. Give me a break: tell me that the six Great Grand Masters in this division racing Lasers on the famed Berkeley Circle are not "on something." I want to stay fit and healthy enough to be one of those Great Grand Masters sailing Lasers at 65+. But more than that I want to be racing in Masters regattas at the regional and national level with a chance of being among the winners, not struggling to keep up with the tailenders. Thank you to everyone who left messages of support in the comments on yesterday's post. It means a lot to me that so many folk have enjoyed my scribblings over the last few months. But I have changed. And I'll explain more in a post tomorrow about why that has caused me to start thinking about the future, if any, for Proper Course. People change. Blogs change. Blogs even die. For the past few days I've been thinking about my sailing plans and ambitions for the next year. I'm ready to make a major change in my commitment to the sport and, as a result, a related change in what I want to write about in a blog. I've even seriously considered pulling the plug on Proper Course. When I started Proper Course I had the idea that I could perhaps write a blog about my various activities in sailing that might be of interest to a few other people. I was involved in all sorts of voluntary activities in the sport as well as my own racing and thought that I might be able to find stories that were sometimes funny, sometimes curious, sometimes argumentative... that people would enjoy. I've even got a kick out of obsessively watching my stats and seeing my number of readers grow month by month. (Congratulations to reader number 25,000 from Dallas, Texas. Hope you found what you were looking for with the Google search on "queensport kolius"). And some of you even say nice things about this blog. But only some of you, thank god. So I've had a good time poking fun at my own sailing misadventures, digging up curious stories about boating on the web, writing a spoof advice column, inventing a fictional alter ego guest blogger, stirring up some controversy with those sensitive Enterprise sailors, writing nonsense, posting photos of my beautiful granddaughter and so on. But where to next? It's time for a change. The US Sailing Team is currently in China at The Good Luck Beijing - 2006 Qingdao International Regatta. 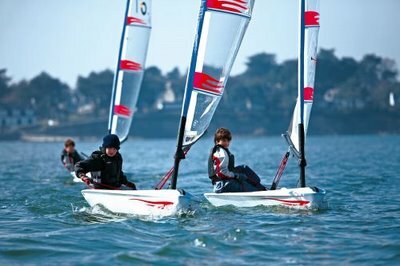 This is the first of two Olympic test sailing events being held in Qingdao the site for the Olympic Sailing Regatta in 2008. American Laser sailor Andrew Campbell is with the team and wrote up his first impressions of China on his blog, CampbellSailing.com. He reports that there is very little breeze and that the heat and humidity are "miserable". Clearly concerned about dehydration, the US Team trainers passed out a chart for all the sailors to check that their pee was the right color. Andrew didn't include a picture of this chart in his post but I am pleased to report that Tillerman's spy in the US team training camp has secured a copy of the official "US AILING Urine Color Chart". If your urine is this color you are well hydrated. Go out and sail your Laser for 8 hours in 90 degrees and 3 knots. Have fun! You are partially dehydrated. Lie down in an air-conditioned room for 2 hours and drink a gallon of water. Then go sailing for 2 hours and take plenty of drinking water with you. Be careful. Don't think I don't know about those two crates of Tsingtao beer in your dorm room. If you persist in such self-abusive behavior you are in danger of losing your slot on the team. You are confined to base until further notice. PS I also confiscated the tequila. See the team doctor immediately. Unfortunately Klingons are not eligible to be selected for the US Olympic team. Please submit Form Q-403 Fast Track Naturalization for Potential Gold Medal Winners to the Department of Homeland Security Citizenship and Immigration Service. Tillerwoman doesn't "get" blogging. In fact she doesn't "get" most things invented after 1960 including personal computers, cellphones, the Internet, MP3 players and Laser sailing. She's an old-fashioned girl and I love her dearly for it. So when I try and explain to her what I am doing in writing this blog, the nearest analogy I can come up with is that it is a kind of on-line sailing magazine. A periodical containing a collection of articles, stories, pictures, or other features. How am I doing? Is this "magazine" carrying the variety of material that interests you? What's missing? If I had to describe the blogs I read in terms of their nearest equivalent in conventional media I would have to say that there are newspapers, journals, instruction manuals, a comic book, a novel, sailing club newsletters, ships logs, photo albums... Most of them are more focused in style than my scatterbrain magazine format. This post really is about sailing even though you might not guess it in the first few paragraphs. So bear with me. The theory of the Long Tail is that our culture and economy is increasingly shifting away from a focus on a relatively small number of "hits" (mainstream products and markets) at the head of the demand curve and toward a huge number of niches in the tail. As the costs of production and distribution fall, especially online, there is now less need to lump products and consumers into one-size-fits-all containers. In an era without the constraints of physical shelf space and other bottlenecks of distribution, narrowly-target goods and services can be as economically attractive as mainstream fare. For example, 25% of Amazon's sales are of products not available in offline retail stores and an astonishing 40% of Rhapsody's music sales are also of tracks not available in a typical record store. 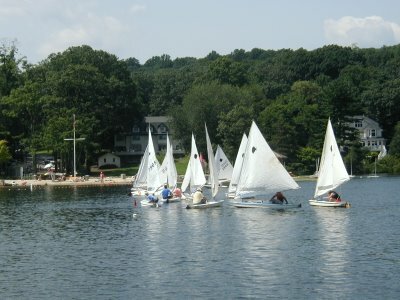 Then it struck me that we see a similar phenomenon in the popularity of sailboat classes. Just look at the table on the Yachts and Yachting website of attendances at UK National Championships. At the top of the list are the "hits", the classes that turn out over 100 boats, Optimist, Topper, Laser Radial, Mirror, Enterprise and Firefly. But there is a huge long tail of over 200 classes down to such "niche" boats that I'd never even heard of before such as Pandora, St. Mawes One Design and Swordfish. And these are just the classes that bother to organize national championships. There are probably hundreds of smaller classes that never even make it on to this table. So it seems that a surprisingly high percentage of sailors are not sailing the "hits" - the Lasers and Enterprises and Mirrors and so on. They are enthusiastically sailing in obscure niche classes and some of them are getting together and racing them in small fleets. Of course the economic and social factors driving this must be very different from the ones that Anderson discusses in his book for such markets as online sales of books, digital music and video rentals. 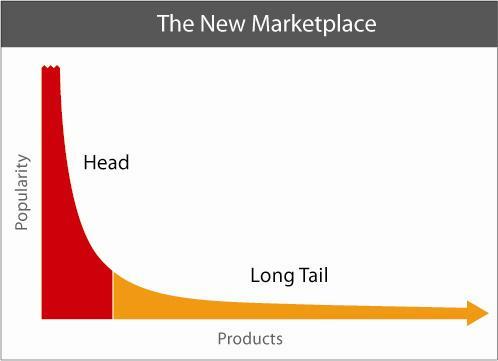 The classic "long tail" market is driven by near zero marginal costs of production, distribution and inventory which make it profitable for vendors to offer huge number of products that individually only sell in small numbers but collectively are significant parts of their businesses. 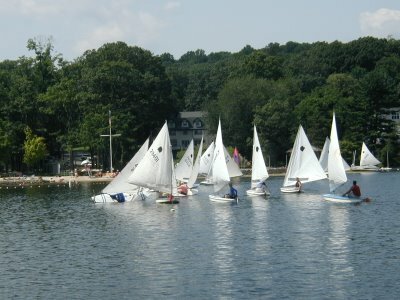 What is it that keeps the small sailboat classes alive and thriving (sort of)? Part of it is geographical of course. Many of these smaller classes are confined to one country or one region in one country. They never achieve the world-wide distribution of the larger classes. No World Championships for these guys -- though they could organize an Intergalactic Championship. Presumably at least one local boat builder is finding it just profitable enough to build boats in the niche class. Or perhaps sometimes they are home built? Another factor is that I am really comparing apples and oranges. Anderson's book is about current sales of products whereas the Y&Y regatta attendance table is about current usage of boats that may have been manufactured years ago. With loving care such boats will last decades and so the regatta attendance table may not be a reliable guide to the pattern of current sales of racing sailboats. And then there is the "cult" factor. Niche boats have their wildly enthusiastic fans just as much as obscure garage bands do. Talk to an owner of a niche class sailboat and he will be rabid in his fervor and will explain why his particular class is far superior to any other. 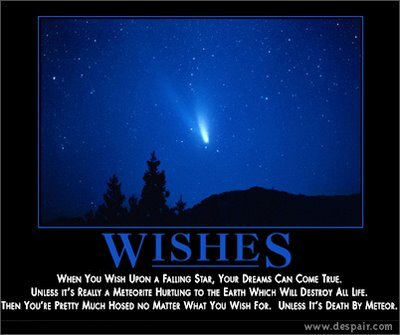 This can be expressed in negative as well as positive ways. The "why I hate Lasers" posts on forums and blogs are just as intense and fierce as some of the vitriol heaped on Britney Spears or Michael Jackson. Yikes. I can't believe I really wrote that. I compared my pride and joy, my Laser, to two slimy, seedy, over-exposed, mass-market pop stars. Is that really how you Laser-haters see us Laser sailors? There must be a good caption to go with this photo shamelessly stolen from the Yachts and Yachting photo gallery of the UK Lark Nationals at Penzance. Suggestions please in the comments. Best answer wins instructions on how to make a cup-holder for your boat from duct tape. Thanks to rock steady on the Laser Forum for pointing us to this one. Is this boat - the O'Pen Bic - the future of junior sailing? Could it be the Opti killer? A fast, planing hull. Fully battened windsurfer-like sail. None of that tedious bailing after a capsize. And a clever idea to make the transition easy for current Opti owners: you can just buy the hull of the O'Pen Bic and use your current Opti rig with it - then buy the O'Pen Bic rig later. And to my old geezer eyes it looks way more cool than an Opti. The O'Pen Bic looks like a winner to me. Wonder when Cutest Granddaughter In The World will be ready for one? Why are the hits on my blog so much lower on weekends than on Monday to Friday? Is it because all my readers are out sailing on Saturdays and Sundays? Or is it because all of you do your blog-surfing at work when you should be sweating blood to grow the global economy, teaching your students about dangling participles, curing myxomatosis or whatever it is your employers think they are paying you to do while you're reading this blog? In a comment to my post earlier today on World Championships (about ISAF rules on what constitutes a world championship and how some classes measure up against this rule), Tim asks a great question, "Just a thought but what would be the title of a championship that doesn't meet the requirements for a 'world championships'?" The only answer I know is the one that is the title of this post. There a couple of examples at least of Intergalactic Championships. Rick White and Mary Wells have been doing a great job of promoting the Hobie Wave class in the United States and nearby countries. A few years ago they tried to organize a Wave World Championship in the Turks and Caicos Islands. Mary tells what happened next in this thread on catsailor.com. As far as us promoting it in the United States to get people to go to it, we were under intense pressure from ISAF and from US Sailing to change the name to something that would not imply in any way that it was a world championship. They suggested "Intergalactic," because, thankfully, ISAF has not yet extended its governing authorities beyond this planet. The only reason we knuckled under and briefly changed the name to Intergalactic was because we had a youth sailor coming to the event, and we did not want him to be disqualified from being able to race in ISAF youth events just because of participating in the (illegal) Wave Worlds. Yes, ISAF will threaten to disqualify you from sailing in other ISAF events if you sail in a worlds that is not a worlds! The other example is the Tech Dinghy, a single-handed class that originated at MIT back in the 1930s and is still actively raced there. There are only a few other fleets scattered around the United Stated as far as I know. They also hold an Intergalactic Regatta, presumably for the same reason. A quick Google confirms that the same solution has been chosen by the Soverell 33 and the San Juan 23 classes. Don't ask. I haven't a clue what they are either. There may be other answers to Tim's question. Anybody know of any? The other thing I don't know is has ISAF ever withdrawn the right to run World Championships from an existing class once it had granted that right? I don't know of any examples. Do you? Yachts and Yachting has been reporting on several dinghy world championships over the last few weeks. Enterprise Worlds with 112 boats at Looe in Cornwall (coincidentally the site of our honeymoon but we didn't do any sailing); 112 entries again (another coincidence) entered for the 505 Worlds at Hayling Island; and 111 (ah not quite the magical 112) GP14s sailing in three fleets at their World Championships in Sligo in Ireland. Fantastic. Huge turnouts. Tough competition against sailors from all over the planet. Truly worthy champions. But wait. Hold on. Is that last paragraph really true? Scanning through the results for the Enterprise "Worlds" I see three crews from Ireland, one from the USA and one from Sri Lanka. The other 107 entries were listed as GBR, Great Britain. Hmmm -- are you really a world champion if the sailors you beat are nearly all from one country? The GP14s did slightly better. As you might expect the vast majority of the fleet was from Great Britain and Ireland. Then there was one crew from France, one from the USA, one from Sri Lanka and two from Nigeria. At least they had representatives from four continents, but only barely. The 505 Worlds apparently had a more broadly based fleet. Strong representation from many European countries and a sprinkling of sailors from USA and Australia. Better. But that's still only three continents out of six (we won't count Antarctica) with nobody from Asia, Africa or South America. Is the new 505 champion only champion of half the world? So what's to stop me from designing some wooden tub, calling it the "Tillerman One Design", inviting a few friends round to my lake and calling it the Tillerman OD World Championship? Well, for one thing the International Sailing Federation would have something to say about it. ISAF jealously defends the right to designate when a regatta really is a World Championship. According to the ISAF regulations a centerboard class can hold world championships if it maintains minimum participation averaged across three consecutive events of 30 boats from 8 countries and 3 continents. So if the 2006 Worlds are typical, the 505s are looking good, the GP14s are failing on the 8 country test and so are the Enterprises. I'm sure these classes are not the only ones just scraping along on the borderline of being able to run "real" world championships. It's no secret that many classes are heavily concentrated in one part of the world such as Europe, North America or Australia. Does it matter? Maybe not in the big scheme of things. But designating a regatta composed of 95% Brits as a world championship is about as ridiculous as calling a series of baseball games the World Series when all the teams except one eligible to qualify for it come from one country. Isn't it about time we reserved the title of World Champion for sailors who triumph over a fleet with strong competition from all six major continents? Family that is involved in Yachting and Sailing either as a profession or personal pastime. Spouses must have kids over six. Spouses must have full custody of their kids. All family members must be citizens of the United States. The family that makes it on the show wins $50,000. Now as I understand the premise of shows like this (Wife Swap is a similar program) is that the two wives or two husbands swap families and go live with the other family for a couple of weeks. The odd occasion I happened to have seen such a program (when Tillerwoman happened to have it on as I, of course, would never stoop so low as to actually deliberately watch reality TV shows) the "drama" was always related to the fact that the producers had chosen two families with extremely different life styles. Neatness freaks and slobs. Atheists and religious nuts. Workaholics and family firsters. Sports fanatics and nerds. And so on. So it got me thinking. Who are they going to pair the yachtie family with for the spouse swap to achieve maximum dramatic effect? As a sailor what is your worst nightmare of a family to be traded to? Ideas please in the comments. One of my readers in the UK sent me a long email which among other things noted that, "every time we drive along the M4 now I look at all the water bodies wondering if you sailed on any of them." Hmmm. I wonder too. 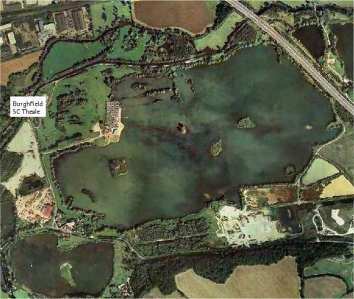 To the best of my recollection the only lake that I sailed on in the UK that you can see from the M4 motorway is the lake of Burghfield Sailing Club in Theale, near Reading. As you can see from the aerial photo, the motorway cuts right across the NE corner of the lake. I'm not absolutely sure -- hey the memory plays tricks at my age and it was a long time ago -- but I think this was the site of my first real sailing lesson. Must have been around 1980, maybe a little earlier. I signed up for an outdoor multi-activity weekend which included some kayak instruction on the River Thames, some climbing on an artificial indoor wall and... sailing in a Firefly on this lake. After that I went off to a sailing holiday in Minorca with Minorca Sailing and then joined what is now called Taplow Lake Sailing Club (which by the way you can see from the main railway line running west from London but not from the M4). Then I returned to Burghfield SC for a Laser open meeting, probably shortly after the one at Maidenhead Sailing Club. The only thing I really remember of that regatta (I speak Ameri-speak now) is of one of the youngsters from my home club announcing to the rest of us that he was going to go out sailing on the lake before the races to "suss out the shifts". I was so naive about sailing at the time that I thought he was just being a poser. Now I know he was the smartest and most committed racer among us. It's good to see that Burghfield SC still has a very active Laser fleet with over 40 boats at their Laser Open last year. Let me say this right up front: I know nothing about trademark law, other than what I glean from tuning one ear into my son's conversations about law school. But apparently if your name is Steve Colgate and your business is running a Sailing School you are not allowed to have as a trademark Colgate Sailing School. 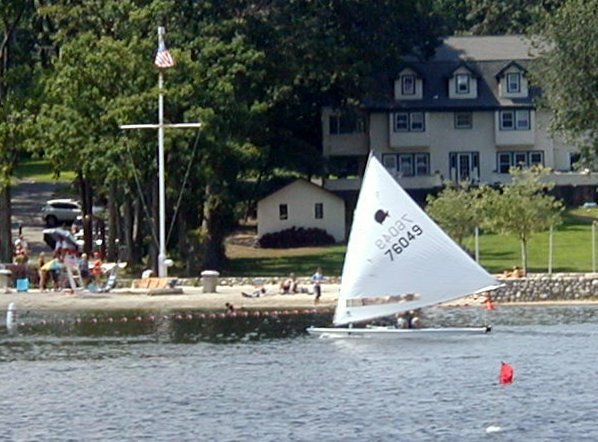 The explanation is at TTAB Sinks "COLGATE SAILING SCHOOL," Affirms Section 2(e)(4) Surname Refusal. I've read it three times and still don't understand it. I guess that's why I am not a lawyer. After my posts on Top Ten Sailing Blogs of 2005 in January and the Boating Blog Roundup at the end of March, we're due for another Tillerman review of sailing blogs. This time I'd thought I'd draw your attention to some of the more unusual sailing blogs out there, in a variety of niches. Two Photo Blogs. I read some blogs mainly for the writing; others are attractive because of the photos. Prime in this category is Sailscape by Willie Waw who publishes first class picture of tall ships, classic yachts, Rhode Island seascapes and occasional photos of his kids racing. non-dribblers, shiny, happy folks, who see this voyage as a once in a lifetime chance to experience sleep deprivation and have competitions in cultivating the blackest neck possible. Interested? You've got to want to do it; you've got to be tough; you've got to realise that sailing can sometimes be 99% hell; and most importantly, you've got to have decent tablemanners, and be a person who doesn't bite their cutlery. This is, of course, much much more than a photo blog but Ms Perkins definitely wins the award for most prolific poster of photos. Four Campaign Blogs. We can all learn by reading what top sailors write about their sailing campaigns. Unfortunately many top racing sailors who start websites or blogs are not good writers or don't take the time to update their sites on a regular basis. Some exceptions are Danish Olympic windsurfing hopeful Moses Lovstad, former Moth World Champion from Australia Rohan Veal (check out his account about not quite winning the 2006 Moth Worlds last month), and also from Australia Scott Babbage, who won the 29er Worlds last month crewing for Silja Lehtinen. 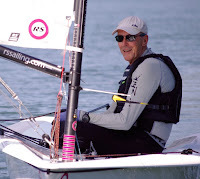 Rounding out the quartet is the blog of American Laser sailor Andrew Campbell, CampbellSailing. All four of these guys are at the top of their game, and as well as being superb sailors they know how to write about it too. Two Sailing Blogs From Unlikely Places. You can't keep racing sailors down. It seems that wherever you can find sailable water that is (a) actually there for some of the year and (b) actually liquid for a few months, you will find racing sailors. As a case in point here is the blog of the Alaska Sailing Club who sail on Big Lake, Alaska from May to September; and at the other extreme Desert Sea - New Mexico Sailing which is written by Pat Byrne the commodore of New Mexico Sailing Club whose main concern would seem to be whether his water will disappear rather than freeze. One Blog about Building a Sailboat. I'm not much of a fan of boat maintenance and the thought of building a sailboat from scratch with my bare hands seems like an Everest that I would never scale. But the author of First Australian Swift Solo has no such qualms. A single-handed sailing nut like myself his blog chronicles, with photos, his building of the first Swift Solo in Australia. The Swift Solo is a high performance one person boat that was designed in the USA by Bram Dally. It uses the 49er as inspiration. 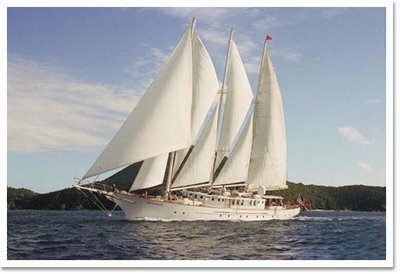 It has a self tacking jib and the sheeting is linked to the main sheet so the two sails are always at the correct sheeting angle. The spinnaker is masthead and large! It's time to end this blog. The initial intention of this blog was to foster communication between clubs and fleets for the purpose of creating more local growth in racing. I have failed in that mission this winter. Thanks for your past readership and kind comments. But now he's back with Sailing As I Sea It. Controversial and opinionated as ever he has already been stirring up a lot of reaction from his readers with his views on how a race committee mishandled (in Peter's view) a situation with a young racer in a casual fun race as he sailed around The Gates of Hell. Welcome back Peter. 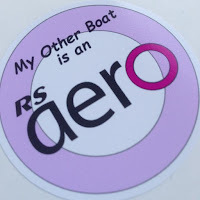 So that makes 30 sailing, or otherwise watery, blogs that I've reviewed in this post, Top Ten Sailing Blogs of 2005, and Boating Blog Roundup. Most of them are still active. Most of them are strong candidates for the grand competition to be one of Tillerman's Top Ten Sailing Blogs of 2006. Who will make the final cut? Only 5 months left guys. Get blogging. 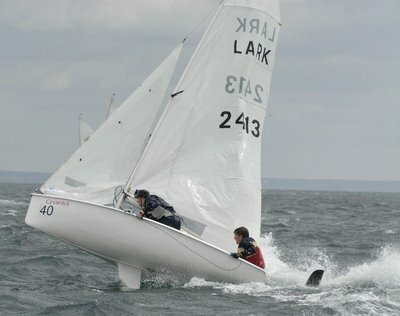 I should have given credit for the Moth video in my Surrender post to Kingsley Forbes-Smith and his website Mi Boat.com which is about "learning how to sail safely and fast". 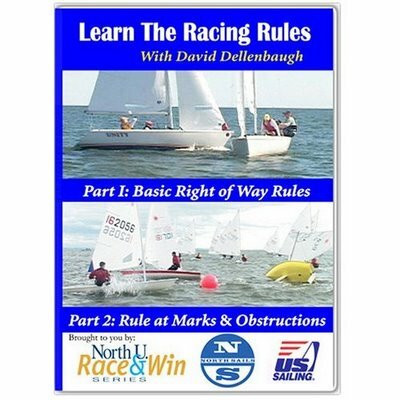 Kingsley offers a coaching newsletter and online sailing coaching videos. Looks like a promising idea. Kingsley left a comment on the Surrender post about his Moth video and even said some kind things about Lasers. So he must be a good guy. Congratulations to 19-year-old Lija Xu of China on winning the Women's Laser Radial World Championship which was sailed out of the California Yacht Club this week. Xu, a former two time Optimist World Champion, says she learned English by watching American TV series like Prison Break and Desperate Housewives. I guess it proves that those shows have at least one redeeming feature. The judges on the water were strictly enforcing Rule 42 Propulsion and as a result one of the women competitors, Paige Railey of the USA, was disqualified and scored last in the fleet for committing three illegal propulsion violations. Top USA sailor was Anna Tunnicliffe who finished fourth overall. Xu has only been sailing the Laser Radial for 8 months. Which almost makes true #7 on my list of amazing untrue facts about Lasers in yesterday's Wikiality post. Kudos to the guys at LiveSailDie for launching WetWiki a sailing wiki to which anyone can contribute. And thanks to Stephen Colbert of the Colbert Report for explaining to American TV viewers this week how wikis really work. As Colbert says, "Any user can change any entry and if enough other users agree with them it becomes true." Truth is whatever we want it to be. Check him out in the video. So, using this principle, if enough of us agree on something we can change reality. For example all of the following statements about Lasers will be true if you were to update them to Wikipedia or WetWiki. That's wikiality folks. 1. Sales of new Lasers are triple what they were three years ago. 2. There are twice as many Lasers racing today as there were ten years ago. 3. 48% of Americans believe that George W Bush sails a Laser. 4. You can pick up a used Laser in excellent condition for $200. 5. If you only race twice a week, a Laser sail will last ten years. 6. 53% of Americans believe that Osama bin Laden sails a Laser. 7. Anyone can jump in a Laser and qualify for the Olympics six months later. 8. Laser sailors never cheat. 9. Lasers are faster than Moths. 10. 91% of Laser sailors are of above average IQ. Not that I am encouraging you to do anything dishonest such as writing stuff in a wiki that isn't true. Of course not. OK. OK. I admit it. Moths are faster than Lasers. But you didn't have to rub it in quite so badly. Maybe it was the heat. It has been brutally hot in the north-east in the last few days. Maybe it was the light, patchy, shifty winds. Never my favorite. Maybe it was the larger fleet with the resultant crowded start lines and mark roundings. Why does everything seem to go wrong at once? The previous week was the exact opposite. Good starts, clear air and excellent speed upwind, arriving at the first mark with the leaders, sailing fast and clean for the rest of each race. Go figure. And when things start to go wrong, my mental attitude goes downhill too. I find myself getting irritated at the other sailors. Don't they know the rules? How could he be so stupid as to do that? Why didn't he give me enough room? Why did she have to tack on my air? A negative attitude only contributes to slower boatspeed and more tactical mistakes. So things go from bad to worse. Then I start to get annoyed with the boat. Hate the Sunfish. Never did like it as much as my Laser. Stupid boat won't point. I'm too heavy to sail a toy boat like this anyway. 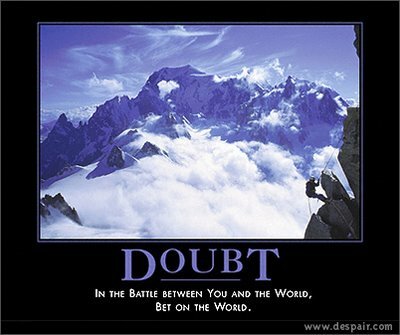 Amazing how much slower I go when I start thinking like this. Who else could I blame? Myself? You must be joking. Anyone want to buy a used Sunfish? I don't normally write about politics here. God knows there are enough political rant blogs out there. 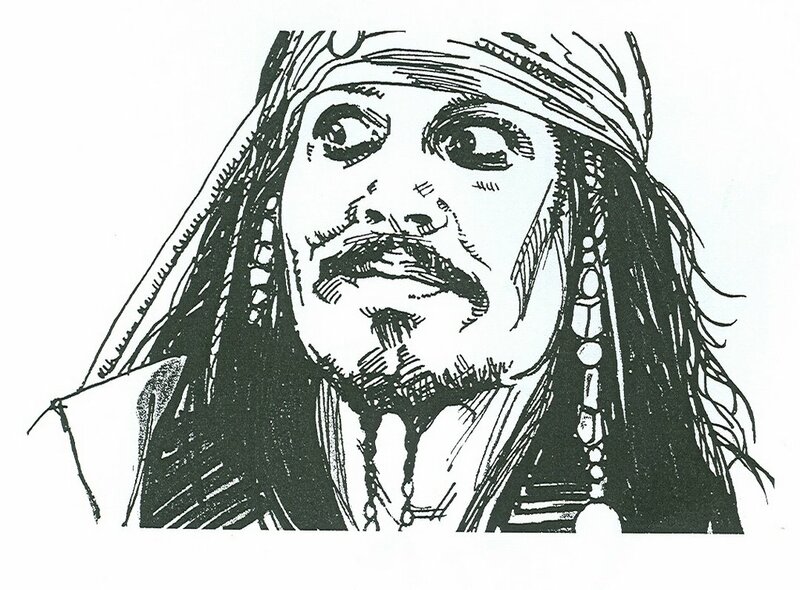 But I would like to commend to all red-blooded sailors a new political movement, the Pirate Party. The website of the US Pirate Party sums up their aims very simply. "The basic idea of the Pirate Party is simple - the government should encourage, rather than smother, creativity and freedom." Now who could argue with that? There are also branches in various European countries. Don't delay. Join up. Be a pirate. Sunfish Fleet #17, a.k.a. 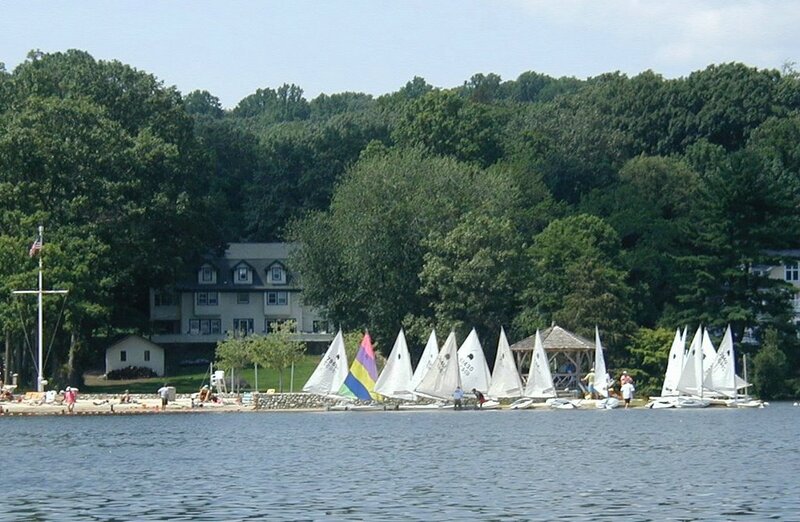 Mountain Lakes Sailing Association, is the ultimate in grassroots, off-the-beach, casual, fun sailboat racing. There is no clubhouse, no race committee, no sailing instructions, no insurance. Just a bunch of enthusiasts that set up a start line off the beach and race around some fixed marks on the lake opposite my house. The fleet captain (who is also racing) counts down a 3-minute start, sailors are on their honor to return and restart if they are OCS as nobody is watching the line, fouls on the water are dealt with on the water or not at all, and the winner of each race notes down the places of the other finishers. Peter Huston from Sailing As I Sea It would blow a gasket. As my granddaughter was visiting us last weekend I chose not to go racing but, while she was asleep on Sunday afternoon, I walked down to the dock to take some photos of Fleet 17 racing. When I arrived all the Sunfish were pulled up on the beach and there appeared to be a lengthy meeting being held in that gazebo. I later discovered that this was a discussion about the previous race, the first race of the day. One of the novices had asked a question and that had triggered a detailed debrief by some of the fleet leaders about wind and strategy and boat handling. Nobody seemed to mind that this informal sail training was cutting into time allotted for racing. I took a few shots of the start of the next race. The wind was blowing off that beach more or less directly towards me which, given the geography of the lake, necessitated a reaching start. Could have been in either direction but the decision was made to start towards the left from my vantage point. This shot was probably about 20 seconds before the start. The red flag in the foreground is the near end of the start line. The next shot was taken as close as I could judge to the actual start. Did everybody return to the correct side of the start line? Who knows? There's another red flag over there somewhere but I never saw it. And they're off. What's the right strategy? Time will tell. There may be an advantage in being at the windward (far) end of the line but that side of the lake is more in the shadow of the trees. Roll the dice. Take your chances. 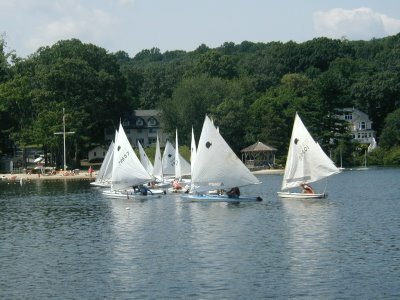 After sailing round a couple of buoys down the left end of the lake, the fleet passes me again on its way to the one buoy in the right end of the lake. The local hotshot, Derek Jackson, (2nd place in the Sunfish Midwinters this year and a candidate for president of the US Sunfish Class) was way ahead. This shot is of the next pack. And here come the finishers. Crossing the line in third place, can it be, it can't be, yes it is, the sailor formerly known as Whippersnapper, Son #1 or Litoralis. I used to race myself with this fleet when we first moved to the USA. There's a certain attraction to this style of laid-back casual racing -- especially when it's almost on your doorstep. Even if the standard of race management wasn't high, the quality of racing at the front of the fleet was excellent. But after a few years, frustration with sailing on such a small lake and a wish to return to my roots in Laser sailing led me to new pastures. I didn't go racing myself last weekend. Here's the reason. 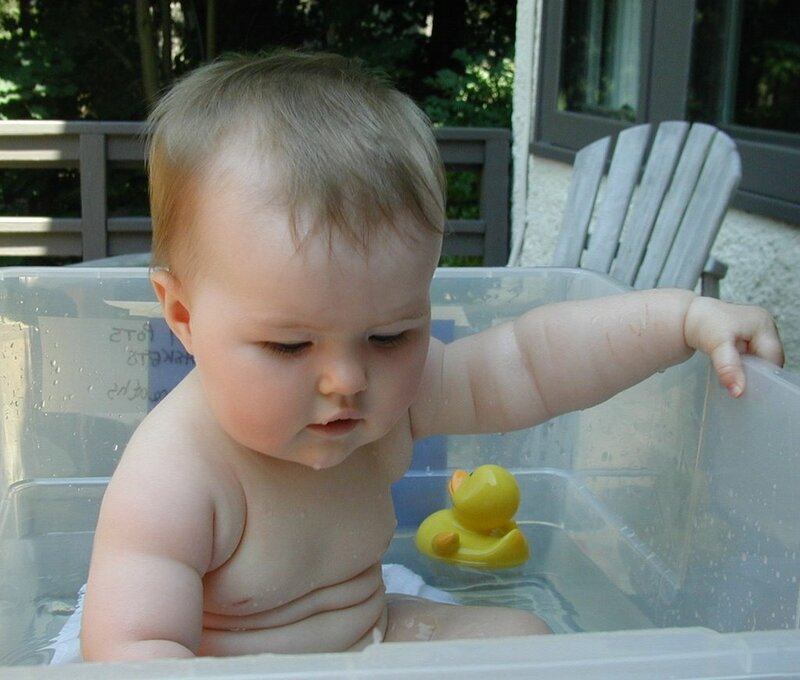 Cutest Granddaughter In The World having a bath in a storage container on my barbecue table.